Polyskin™ II transparent dressings consist of a thin, polymer film coated with a hypoallergenic adhesive. A simple, effective delivery system allows for one-handed application. 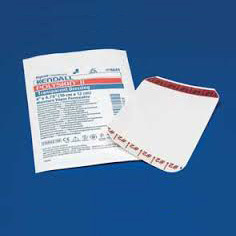 The dressings are ideal for IV sites, donor sites, burns, ulcers and sutures. It is impermeable to external liquid and microorganisms, and provides better adhesion in moist environments. Kendall Polyskin™ II Transparent Dressing is a semi-permeable, moisture responsive film.